The big jump in minimum support prices (MSPs) for kharif crops announced by the Modi government is its biggest economic blunder. It gives farmers a fixed margin of 50% over their input costs and imputed labour cost, ignoring demand, supply and international competitiveness. This makes no economic sense for any activity, let alone farming. Modi seeks to solve a problem of agricultural over-production with incentives that will worsen over-production. Higher food prices will worsen inflation. The RBI will seek to curb this by raising interest rates, hurting industry and exports. This may help Modi win the next election, but will dent India’s long-term GDP growth and prosperity. Farmers should be treated as producers with internationally competitive potential, not as objects of charity. They should be encouraged and helped to grow items in which India is competitive, and discouraged from growing uncompetitive crops. Providing a fixed return to all crops, regardless of competitiveness, is a recipe for producing items that neither India nor the world wants. The 50% margin chosen by the government is completely arbitrary. Can you think of any other goods or services for which this would be appropriate? It makes no sense, save in political terms of wooing all farmers. Farm distress is a reality, but does not mean growing poverty. A recent Brookings paper shows that 44 Indians per minute are rising above the poverty line, and extreme poverty will soon fall to almost nothing. The farm problem is not poverty or scarcity but excess production of several crops. The resulting glut has depressed farm prices, often below old MSP rate. The solution is to discourage excess production, not encourage it with rising MSPs. The 50% margin over costs will raise prices above even their current uncompetitive levels, making exports even more difficult. A fixed mark-up over costs will encourage even greater use of purchased inputs and labour, which in turn will send MSPs even higher in a vicious circle. The European Economic Community once tried something similar, offering prices to farmers well above global rates to make Europe self-sufficient in food, to provide food security in the event of war with the USSR. Alas, high prices created unsold mountains of butter and meat and lakes of milk and wine. These ultimately had to be disposed of by selling them at throwaway price to the USSR, the supposed enemy. Learning from this folly, Europe shifted its subsidies from crops to farmers. Direct cash transfers to farmers replaced high prices for crops. That finally brought supply and demand back in balance, eliminated huge surpluses, and still alleviated farm distress. India needs to learn from the EEC’s mistakes, not replicate them. Indian experience shows that subsidising goods (food, fertiliser, electricity, LPG) leads to large leakages to the undeserving and to middlemen. Experts estimate that three rupees of spending is needed to get one rupee through to beneficiaries. Modi’s supposed strategy has been to shift subsidies from goods to deserving individuals through direct benefit transfers to their bank accounts. This works only if good financial and telecom infrastructure exist. It has worked well for cooking gas. Something similar could be attempted for agriculture. 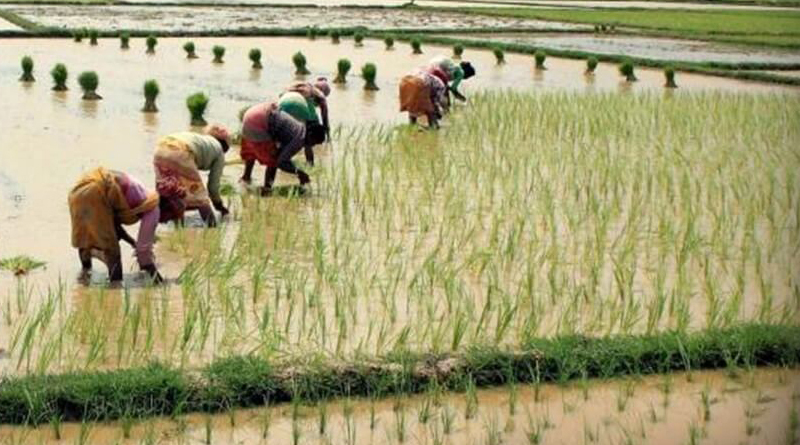 Telangana has pioneered cash grants of Rs 4,000 per acre per crop to farmers, instead of farm loan waivers. The state’s land records are in decent shape, facilitating a strategy that will fail in states with poor land records. No money goes to tenants or labourers in Telangana, a structural flaw. No limit on land ownership applies, so the biggest farmers gain most. The scheme places a big burden on the exchequer, something Telangana can afford (a rarity among states) since it has hugely improved its revenue collection. The great advantage of the model is simplicity, enabling good implementation. The downside is that it will fail where land records are unreliable, or state governments are under fiscal stress. The model places no acreage limit, and so benefits large farmers the most, though they need the least help. A possible national strategy would start with preparatory efforts for good land records and financial infrastructure. Next should be phased moves to a cash grant of Rs 4,000 per acre per year, up to a limit of five acres per holding. This cannot be done overnight, but is a far better strategy than ever-rising MSPs. It avoids the evils of cost-plus pricing and encouraging overproduction. It will limit the cost of farm rescues while benefiting small farmers most. It will curb gluts that depress prices. If supporting farmers is politically necessary, this is the least damaging way to do it.